"THE LITTLE HAMPTONS" : Izannah Walker doll , Eliza, for sale. A reproduction by The Little Hamptons. Izannah Walker doll , Eliza, for sale. A reproduction by The Little Hamptons. A new doll,finished and for sale. 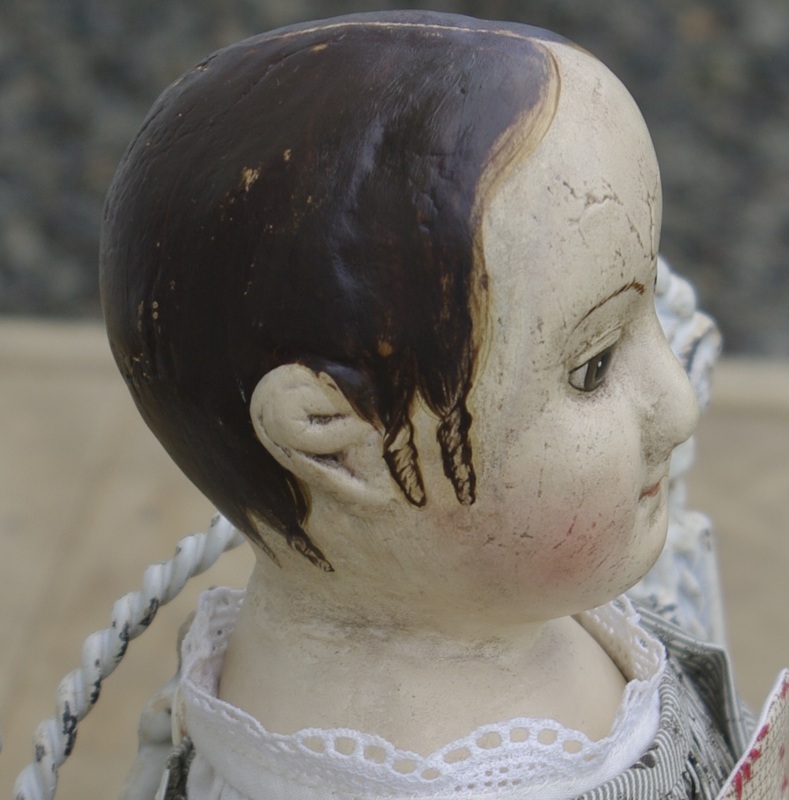 Made from the "Eliza" mold taken from the original antique Izannah Walker doll. 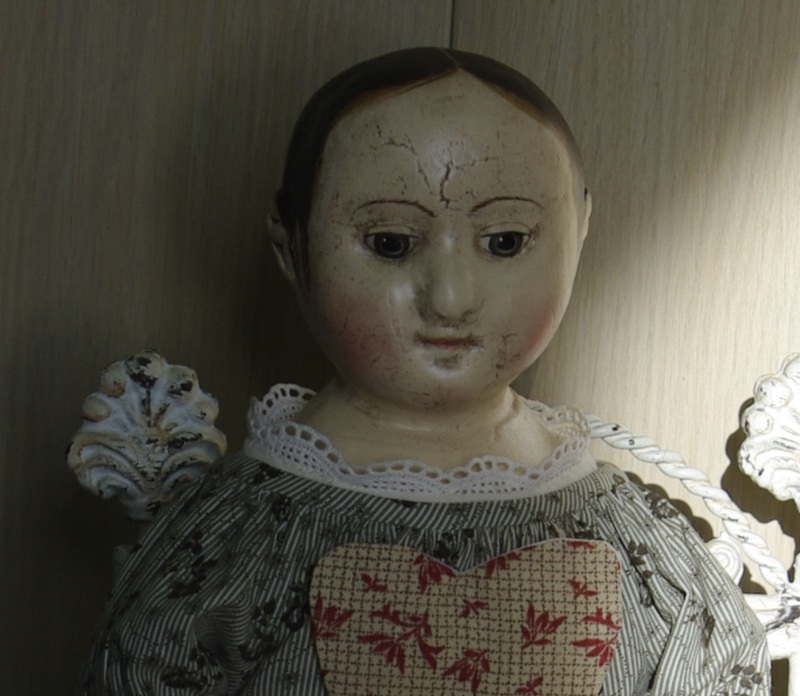 These composition reproductions show the detail of the original antique doll, including the scuffs, the general wear and tear of the originals. I carefully paint and give these dolls a nice antique look. The bodies are made from cotton fabric and stuffed as the originals were, with cotton stuffing. She is 19 1/2"tall and wearing a very pretty outfit that I have machine sewn and handsewn from vintage and antique cotton fabric and clothing. She has a dress, chemise, bloomers and petticoat which are mostly lace trimmed and have button fastenings. She is signed and dated on the back of her shoulder plate just above her second skin and she has signed and dated swing tags. "Eliza" is for sale in my online Etsy shop where you can purchase her with Paypal straight away, or you can contact me here if you'd like to buy her or have any questions, using my email link on the right hand side of this page.